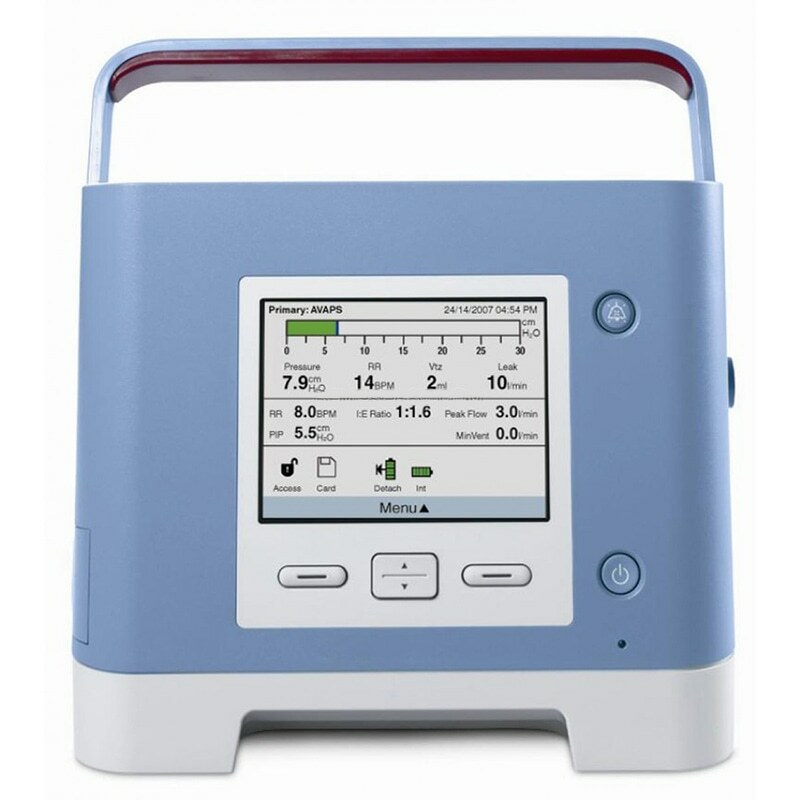 The Trilogy 202 is a 3 in 1 ventilator with CPAP and BIPAP functions including both volume-control and pressure-control for invasive and noninvasive ventilation. The versatile breath delivery and setup options provide greater continuity of care. The Trilogy 202 is distinctive from the other Trilogy ventilators for an included integrated blender for oxygen administration.